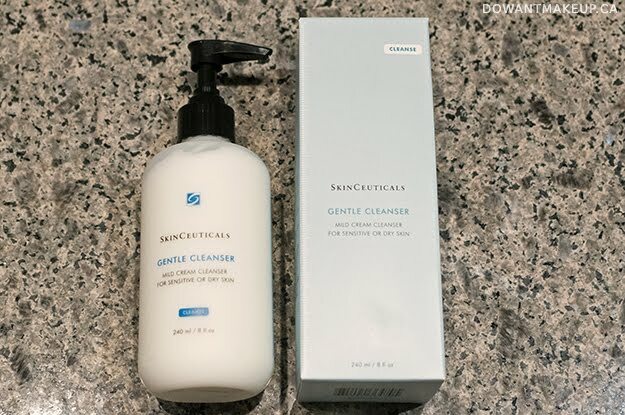 First up is SkinCeuticals Gentle Cleanser. 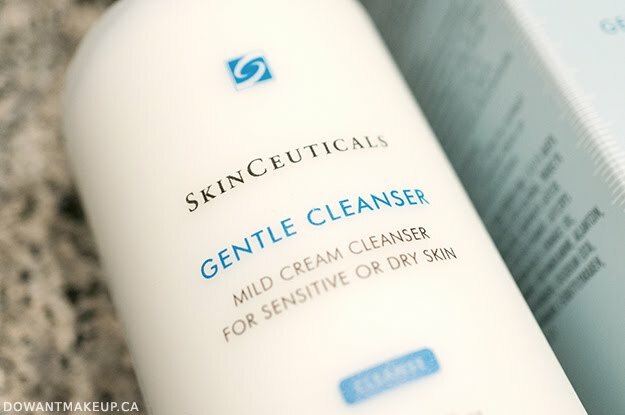 This is a creamy, mild cleanser intended for dry and/or sensitive skin types. The texture feels very creamy and luxurious, but it also spreads easily over the skin. It works well as a follow-up to my cleansing oil (I wouldn't rely on just Gentle Cleanser for makeup removal), as a morning cleanser, or by itself at night if you're makeup-free. I get pimples very, very rarely, but I noticed two small whiteheads coming up after I started using Gentle Cleanser morning and night. I cut back to using it only once a day and haven't had any more blemishes pop up. The ingredients list is full of skin-conditioning agents that would help dry skin stay hydrated. Aside from water, the top ingredients are C12-15 alkyl benzoate, methyl gluceth-20, cetyl alcohol, tridecyl stearate, plus several more emollients. With so many moisturizing ingredients, I can see why someone with very dry and sensitive skin could really benefit from this formula, and why someone else might get a pimple or two. This cleanser also has a mild citrus scent, most likely from the orange oil in the product. I really love citrus scents, but it is something to note if you have a sensitive nose. I couldn't find any articles about the skin benefits of orange oil, so my guess is that it's mainly there for fragrance purposes. Serum 10 AOX+ is part of the "prevent" range, with antioxidants to help fight environmental damage to the skin and signs of premature aging. 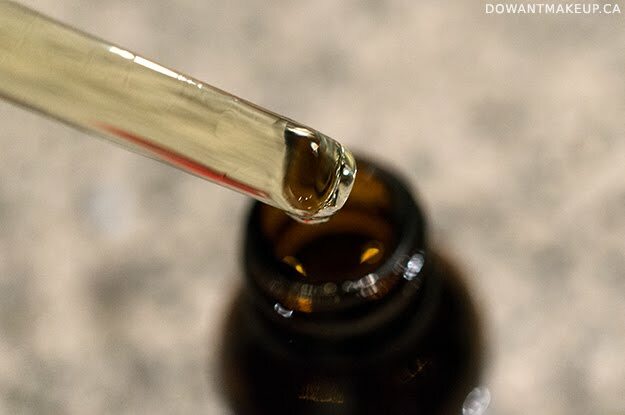 I almost feel like this is the little brother to the well-loved C E Ferulic: they have similar stated functions (antioxidant), but Serum 10 has less vitamin C and ferulic acid, and no vitamin E.
This is a watery, pale golden serum in a glass amber dropper bottle. It does have a funky, sort of sharp and bitter smell if you stick your nose in the bottle, but I use so little of it (2-3 drops) that I hardly notice the scent. You may be wondering what is so special about vitamin C (ascorbic acid) and ferulic acid. There's a good post about vitamin C here, but basically vitamin C is an antioxidant that can help reduce the appearance of spots caused by sun damage and help fade those annoying red marks left behind by blemishes, among other things. Just what I need for my pesky dark spots! 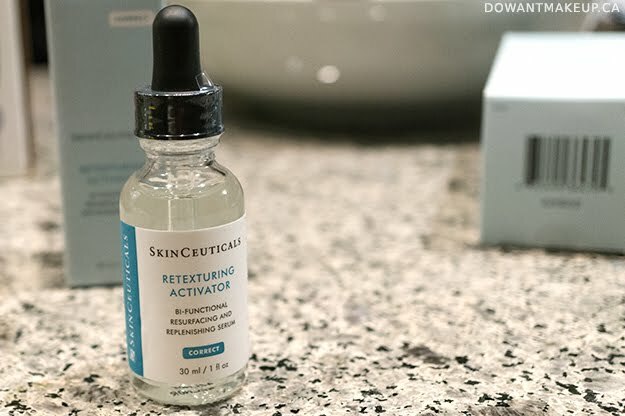 Ferulic acid is also an antioxidant and helps prevent photodamage (damage caused by exposure to UV rays), in addition to stabilizing formulas with vitamin C. TL;DR: it helps fade dark spots from sun damage and protects your skin from acquiring new ones. After cleansing, this is the first step in my morning skin care routine (yes, it has earned Regular Routine status!) I give it about 5 minutes to absorb and then apply my hydrating toners/serums and moisturizers on top. I've been using it for a few months and I'm so pleased with the results. It's helped with reducing the appearance of brown spots I got from sunny Hawaii, plus red marks left behind by the occasional pimple. I feel like my skin's appearance overall is more even and radiant. 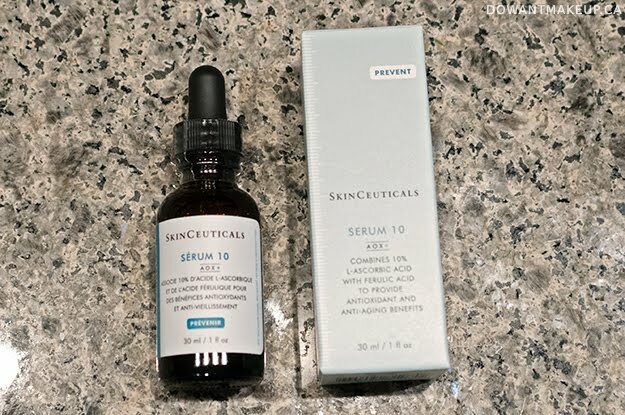 Serum 10 AOX+ is one of my favourite products from SkinCeuticals at this point. 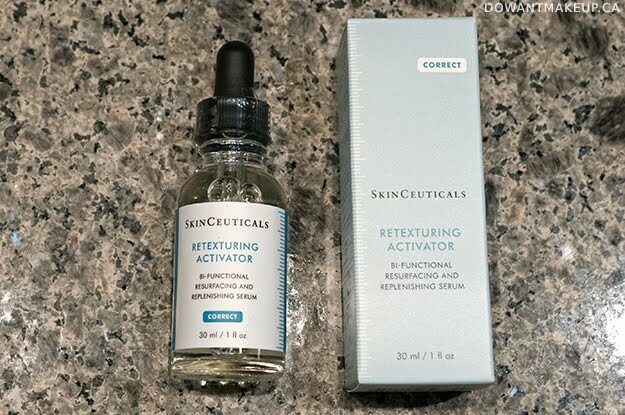 SkinCeuticals Retexturing Activator is a "resurfacing and replenishing serum" in a clear dropper bottle. 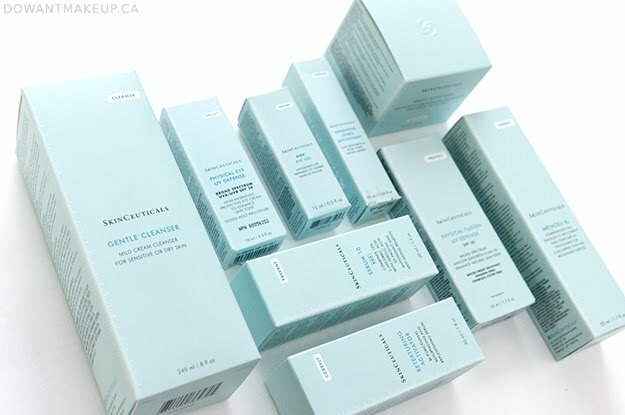 This is part of SkinCeutical's line of "correcting" products that promises to smooth and soften the skin, as well as reduce the appearance of surface lines with its dual ability to exfoliate and hydrate. According to my press materials, it claims to even perform better than a daily 20% glycolic treatment! Since I'm a fan of glycolic acid, I was very excited to test this one out. It was recommended that I use 4-6 drops nightly. Maybe my skin just really loves glycolic acid, or because I lack the surface lines to really benefit from this, but I didn't think it worked as well as my NeoStrata Glycolic Renewal 10% lotion. The thin, watery serum absorbs into the skin quickly and hydrates very well, but I thought my "glow" was not quite the same when I was using this instead of the NeoStrata. I have inconclusive feelings about this one; I'm going to experiment with layering the two products to see if I get better results. Serum 10 AOX+ is by far my favourite of these three products. I previously thought I would have some trouble with it because of problems I previously had with another vitamin C product, but I didn't experience any redness or sensitivity at all. At $69 USD (Canadian pricing TBD), it is on the pricy side but totally worth it in my opinion, and I would buy it once I run out. On the other hand, Gentle Cleanser and Retexturing Activator didn't wow me. I don't think that either are necessarily ineffective products, just that they were formulated to address skin care needs that were different from my own.